Do you find yourself excessively stressed, not getting enough sleep, or perpetually sick? Your work-life balance choices might be the culprit of your discomfort. Americans work longer hours (on average) than any other population, and working longer means paying less attention to our health. The average American clocks in 34.4 hours at work each week compared to 26.6 for those in the Netherlands. And you might be reading this thinking, Wow, 34.4 hours would be a walk in the park that makes sense because, among the typical full-time worker in America, that average goes up to 47 hours per week. When working such long hours, mental and physical health suffers as you get less time to care for yourself properly. While it may take some time for a cultural shift to lessen the number of hours we are spending in the office, there are some small things you can do to benefit your health today. Whether you are in need of some stress relief, some extra physical activity, or general germ-avoidance, these office health hacks can help you out. These effects not only benefit you, the employee, but they help out your employer, too. So next time you open up your calendar, stick something in there that reminds you to take a step back from your work and you’ll thank yourself in the long run. A MediKeeper study of three-years worth of employee stress survey data reveals that stress is on the decline. And not at just any company, but at companies that have invested in a workplace wellness program. In fact, MediKeeper found that between 2014 and 2016, average levels of stress among employees has decreased by 39%. While we cannot reasonably attribute the significant drop in stress solely to our wellness portal, it is still an interesting statistic to note. Companies that deploy wellness programs often offer things like in-office trainers, informational health sessions, catered meal programs, healthy snacks, fitness competitions, and more. 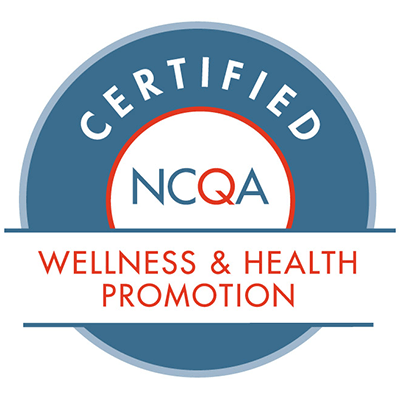 With a wellness portal, employees are able to check in on the details and status of each of the workplace offerings, as well as track their personal health and progress as they get involved with some of these activities. There are all sorts of positive health benefits to these programs, including weight loss, increased physical strength, better mood, lowered stress, improved work-life balance and more. Have you checked to see if your employer is offering something like this? It does not hurt to ask! Office air is not the greatest. Air ducts should get cleaned every three to five years, and who knows if that is happening at your office. For those with asthma or allergies, excessive amounts of microscopic bits like pollen or dust mites can mean the difference between a productive day and a miserable one. With that said, if you can position yourself near a window that opens, you take control of the air you breathe in. In terms of being able to see nature, science shows that simply looking at the great outdoors can improve your attention. Sitting next to a window you will have more than enough attention stored up to get you through that two-hour long, 3:00 p.m. meeting. Sitting next to a window also provides you with natural light, which can do wonders for your quality of life. In fact, studies show that office workers who sit near a window all day get 46 more hours of sleep each night than those who do not. This means waking up for your day more rested and ready to go. How many times have you gone into your company’s kitchen, picked up the sponge in the sink, and washed out that trusty coffee mug that lives on your desk? That’s great that you are trying to keep clean, but just think about how many of your colleagues are doing the same thing. They are heading into the kitchen, picking up that sponge, and washing out their coffee mugs, plates, Tupperware, and even the sink, counters, and probably floor when there are spills and such. Which, granted, that is what sponges are for. However, sponges need to be washed and the recommendation is to disinfect sponges daily and replace them once a week, which is definitely not happening at the office. If you’re considered about workplace cleanliness, particularly if you’re working in an industrial environment, check out Integratedair.co.uk to get your workplace properly cleaned. Wet sponges sit, collecting bacteria. And with lots of employees making use of them, those sponges are not getting a lot of downtime to dry. In fact, food-borne illness comes from these little cleaning tools as remnants of the food particles they pick up get stored in their tiny holes and sit there waiting to do damage to your health. Bring in your own sponge – it may look nerdy, but who really cares as long as you are healthy? Take it upon yourself to clean the communal sponge every morning. Be the one who rips the packaging off of a new sponge and tosses out the old one each week. Microwave the communal sponge before each use. With just a 30-second zap while wet, you can kill most of the germs on the little devil. From signing up for a smoking cessation challenge with colleagues to bringing your own sponge to work, we are just scratching the surface of tactics that can improve your health throughout the workday. Companies that offer wellness programs are often very in-tune with the health risks of working long, hard hours without having time or resources to make healthy decisions. 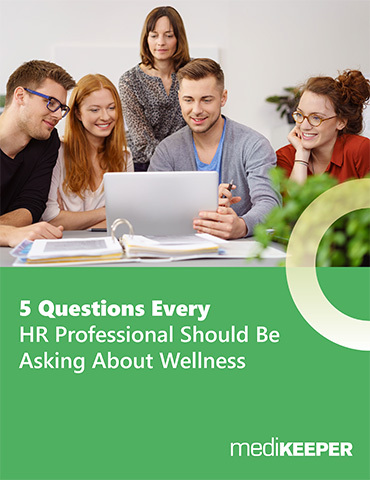 Find out if your company offers a wellness program that you can take advantage of, or provide them with some reasons why they should. Not only does a wellness program offer fun opportunities, it also changes the culture of your workplace to support health in general – including things like letting you choose where you sit and making sure the kitchen sponge is always clean. Reach out to us to learn more about the ways you can improve the health at your office, and your work-life balance.